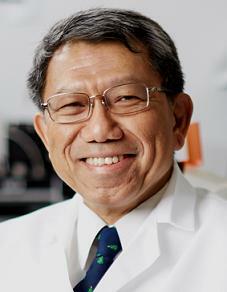 Dr. Tuan is the Director, Center for Cellular and Molecular Engineering, the Arthur J. Rooney, Sr. Professor and Executive Vice Chair, Department of Orthopaedic Surgery, the Director, Center for Military Medicine Research, and a Professor in the Departments of Bioengineering and Mechanical Engineering & Materials Science, University of Pittsburgh, Pittsburgh, Pennsylvania. Recently, the Council of The Chinese University of Hong Kong (CUHK) unanimously approved the appointment of Dr. Tuan as the eighth Vice-Chancellor and President of CUHK for a period of 6 years from 1 January 2018. Dr. Tuan directs a multidisciplinary research program which focuses on orthopaedic research as a study of the biological activities that are important for the development, growth, function, and health of musculoskeletal tissues, and the utilization of this knowledge to develop technologies that will regenerate and/or restore function to diseased and damaged skeletal tissues. Ongoing research projects are directed towards multiple aspects of skeletal and related biology, including skeletal development, stem cells, growth factor signaling, bone-biomaterial interaction, extracellular matrix and cell-matrix interaction, nanotechnology, biomaterials, 3D printing, mechanobiology, regenerative medicine, and tissue engineering, utilizing an integrated experimental approach combining contemporary technologies of biochemistry, cell and molecular biology, embryology and development, cellular imaging, and engineering. Dr. Tuan joins McGowan Institute affiliated faculty members William Wagner, PhD, Rory Cooper, PhD, and Krzysztof Matyjaszewski, PhD, who are also NAI Fellows. On 5 April 2018, the 2017 NAI Fellows will be inducted as part of the Seventh Annual NAI Conference of the National Academy of Inventors at the Mayflower Hotel, Autograph Collection in Washington, D.C. Andrew H. Hirshfeld, U.S. Commissioner for Patents, will provide the keynote address for the induction ceremony.